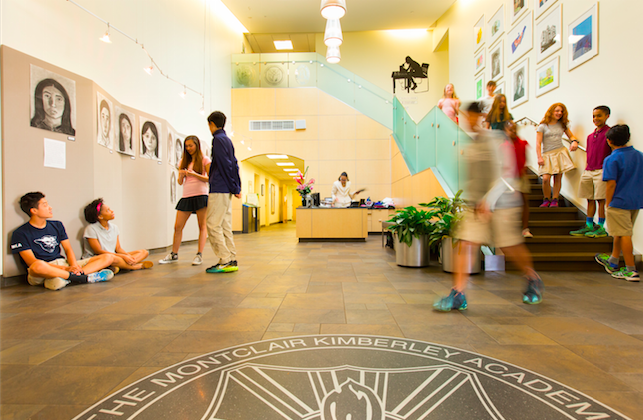 One of New Jersey’s largest independent day schools, the co-educational, Pre-K 12 Montclair Kimberley Academy (MKA) recently celebrated its 125th anniversary. Spread across three campuses, MKA offers students an innovative education that combines excellence in teaching, creativity in curriculum and a highly personal, technology-enriched environment. MKA’s Primary School Campus, serving children in grades Pre-K – 3, provides an atmosphere of exuberant exploration in a nurturing, creative environment, distinguished by specialist teachers in science, foreign languages, art, dance, music and technology. Grades 4 – 8 are housed at the Middle School Campus, where support and challenge, freedom and responsibility are balanced as students grow both personally and academically. At the Upper School Campus serving grades 9 – 12, myriad opportunities in the arts, athletics and extra-murals, strong faculty-student relationships and a vibrant school spirit enhance rigorous academics and college preparation. Long known as leaders in the field of educational technology, MKA implemented a 1:1 Laptop Learning Program in the fall of 2010 and has been recognized as an Apple School of Distinction for 2013-15. At MKA, no two students are the same. They are inquisitive thinkers and insightful doers, diverse individuals and enthusiastic members of their warm community. MKA offers boundless, unexpected opportunities in and out of the classroom and uncovers each child’s gift to draw the best out of all. Encouraged to explore and express who they are, MKA students find success. From the littlest learners to almost-adult scholars, students at MKA go beyond answers. They ask questions. At MKA, curiosity is nourished, and students are challenged to think, supported to think and excited to think. The result is deep, meaningful and enjoyable learning, everyday epiphanies, lasting skills and big ideas. With vast opportunities and the confidence to seize them, MKA students become well-balanced individuals poised to realize their unlimited potential. MKA’s strong liberal arts education prepares students not just for excellent colleges and careers, but also to be exceptional college students, world citizens and continuing questioners. As diverse as they are united, MKA welcomes new members, new ideas and new perspectives to their three campuses and one school. At their foundation is a definition of good character as inclusive as the MKA community. Good moral habits and good intellectual habits are lived as well as taught. Through an intense commitment to professional development and a technology-rich environment, faculty integrates the latest educational research with their understanding of students’ needs and interests. MKA students go wonderful places on their educational adventures with the teachers as their guides. Curious to learn more at an MKA Open House event? For more information, visit www.mka.org or contact Office of Admissions at admissions@mka.org or by phone at 973-509-7930.